Indoor gardening has many benefits. 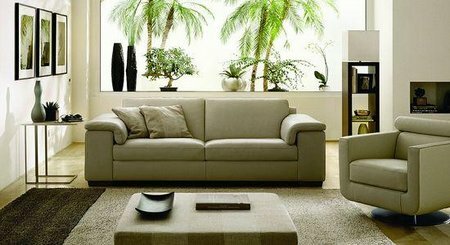 Indoor plants can brighten a room, provide moisture to the dry indoor winter air, and also supply oxygen during the day. You don’t have to have green thumb to grow indoor plants; there are some low maintenance plants available. Indoor gardening can be an extension of your outdoor gardening, filling in the gardening void experienced in the winter time. Indoor plant pots. There are many different plant pots to choose from. Choose pots that reflect your decorating style. If you can’t find the perfect pot you can always make your own or improvise. As long as the object you choose can hold water and soil and has drainage holes, it will work. Drainage holes are important as plants do not thrive if they get ‘wet feet’. Light and soil are also important. Buy a good potting soil that has been formulated for the type of plants you choose. If you reuse your potting pots, make sure your thoroughly wash them before using them for the next plant. This avoids the spread of disease and fungus. Growing plants indoors doesn’t mean you have to have a green thumb. Follow the growing instructions of the plant as directed. Buy a good indoor plant book or search plant information online. 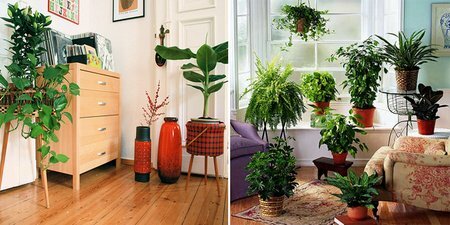 There are many different types of indoor plants to choose from. There is a variety of plants to choose from. Herbs are always a good choice. They can be beautiful lush plants as well as serve a practical purpose. Grow common herbs like parsley, rosemary or basil that can be used in your everyday cooking and are low maintenance. Other house plants and house flowers that do well indoors are African Violets, amaryllis, begonias cactus, poinsettias, rubber plants and spider plants. In the winter time you can also force bulbs to flower, bringing a touch of spring early into your home. Aloes make a great indoor plant it is both beautiful and practical. You can also choose plants that are fragrant, adding a new dimension to you indoor atmosphere. If you have small children that have access to your plants choose plants that are not poisonous and that are safe. Choose plant stands that blend with your decor. Plant stands allow you to display your plants on stunning pedestals. There are many different types of plant stands to choose from. They can be made of finished wood, metal, or wicker. They can be simple or artistically designed. They come in different shapes and sizes. Find plant stands that match your interior home style. Some plant stands are big enough to hold a tall jade tree and some are small enough for a small Aloe Vera plant. Some plant stand combinations give the illusion of a small lush garden. The important thing to remember is to select a plant stand that works well with your plant. The key to successful indoor gardening is remaining vigilant in your plants care. Remember not all plants are the same and often require different maintenance needs. Read up on the plants you choose.